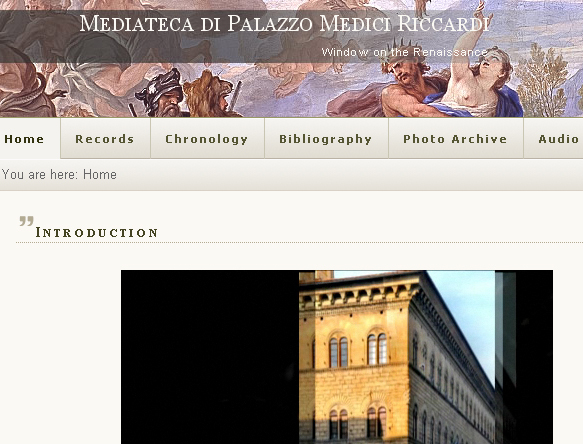 The Mediateca Medicea is a digital archive relating to Palazzo Medici Riccardi, one of the most important buildings in Florence, which now belongs to the Provincial Authority and houses the administrative offices. The Mediateca Medicea is designed in particular for academics and experts in the fields of art, history, the humanities, photography and the conservation of the cultural heritage, but also for students or scholars following up specific strands of research. 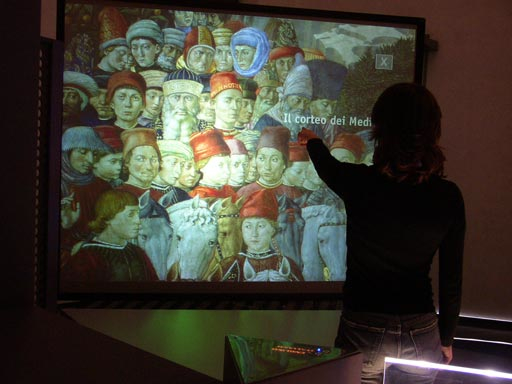 The project has been organised and carried out by the Florence Provincial Authority, in collaboration with the Media Integration and Communication Center of the University of Florence, through the co-operation of a group of different professional figures (art historians, computer experts, photographers…) who have found a stimulating point of encounter in an innovative and flexible documentation tool that is at once exhaustive and easy to use. The site is offered in the form of an in-progress database that will be extended, modified and updated in real time. This entry was posted in Internet applications, Projects, Transfer projects and tagged CMS, cultural heritage, Palazzo Medici Riccardi on March 29, 2010 by admin.